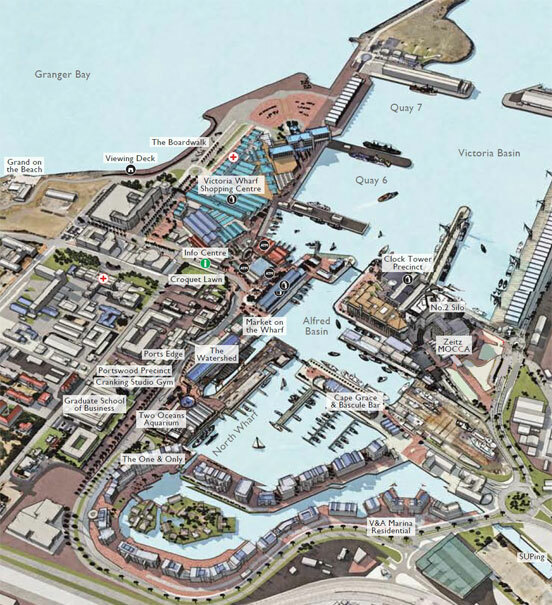 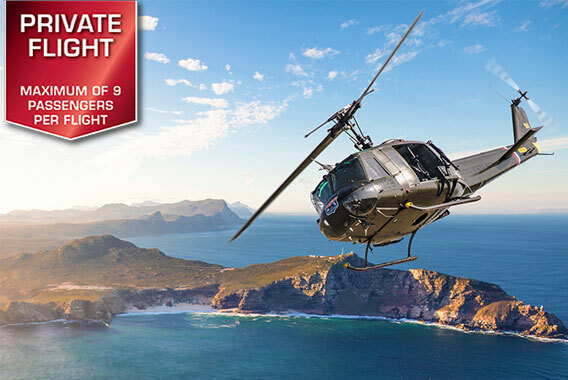 Come join us at the Cape Town V&A Waterfront and enjoy the flight in the iconic Huey Helicopter. 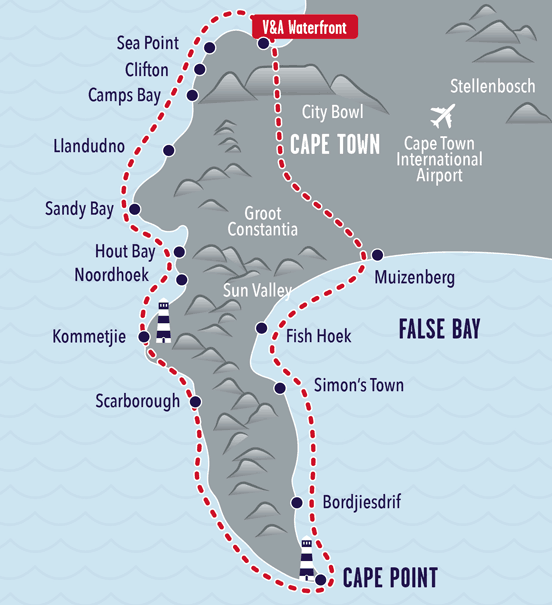 This Cape Point Helicopter flight will fly along the Atlantic coastline through to Clifton – 12 Apostles – Hout Bay – Chapmans Peak – Noordhoek Beach – Scarbourgh – The Cape of Good Hope Nature Reserve – Cape Point – Simonstown – Fish Hoek – Muizenberg – Groot Constantia – Table Mountain – City Bowl – Waterfront. 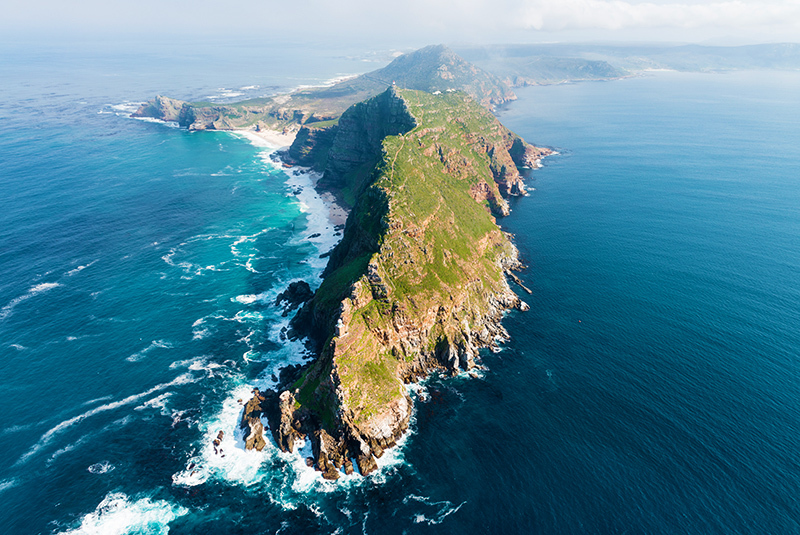 This helicopter experience will take you to the tip of the Cape Peninsula – Cape Point, a nature reserve within the Table Mountain National Park and a declared Natural World Heritage Site. 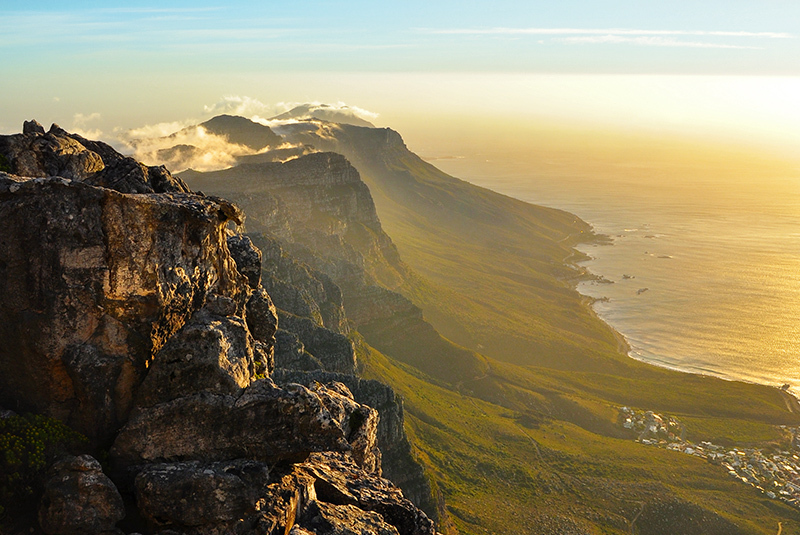 It is an absolute treat to be experienced from the air.